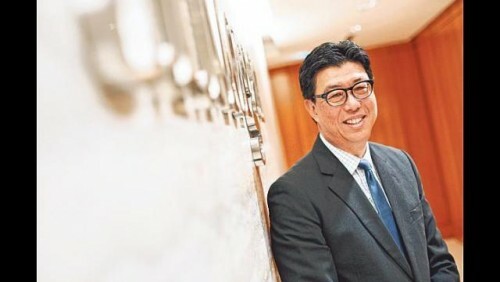 THE past seven months have not exactly been a walk in the park for banking executive Edmund Lee but he is taking it all in his stride. Mr Lee has had to absorb everything from Federal Reserve regulations to Basel III rules since taking on the role of senior country manager at JP Morgan Singapore in October last year. It has proved a big switch from his previous job as chief executive of DBS Vickers Securities. "When I was at DBS Vickers we were dealing in Singapore and the region. I'm now working in a US bank. The regulations that are imposed by the Federal Reserve are different from those imposed by the MAS (Monetary Authority of Singapore). But we also have to work under MAS regulations." Far from being daunted by this challenge, Mr Lee is taking on the steep learning curve the old-fashioned way - "sitting down and reading and getting briefed on different issues". It helps too that he has a strong team helping him get up to speed, he says. "This is our 50th year in Singapore. We've been here a long time, we understand what it takes to do business here and so we have the right people here to be able to work with me, to be able to run a business. "The good thing about JP Morgan is that there are a lot of resources that I can rely on, whether globally or regionally. We have people who are experts in tax law, regulations locally and in the United States and so on," he says. In fact, JP Morgan's international reach was what attracted Mr Lee, 54, to the bank in the first place. And as someone who has worked primarily with Singaporean and Asian clients for the past couple of decades, he says he is also in a unique position to help JP Morgan in its next phase of growth in this region. "I think what I bring to the table is a lot of relationships with companies that are growing, the companies that are getting from $1 billion to $5 billion. "These are companies I'm very familiar with, that I think may have been underserved by JP Morgan and I think that if we can understand exactly what they're doing and how they're doing it, we can serve them." There is scope for JP Morgan to reach out more to Asian companies and make them aware that the bank does not solely serve "the Cargills of the world", Mr Lee adds, noting: "Not everyone that could be dealing with us is doing so. "As local corporations grow and expand overseas, I think we're very well-positioned to help them because of our global network. "We are working with several corporates to list their overseas businesses, for example, on the New York Stock Exchange. As the Keppels of the world go to Brazil and so on, that's where we can come in and play a special role for them." And to be sure, there has been a lot of corporate activity lately, Mr Lee notes, and he has been kept busy right from the get go. "A lot of companies are looking to move into Asia and at the same time a lot of Asian companies are also looking to grow outside," he says. "Valuations are becoming reasonable. Because of the low interest rates and the state of the market that we've been in, we've seen many deals happening." In the same month he joined, JP Morgan opened a new service centre in Changi, where it has placed its risk and control, compliance and technology groups - units that it plans to grow. "This is essentially to better service our customers in this new environment where there is a larger requirement on the ability to follow new rules that are being set by MAS and the Fed," he says. "Capital requirements are stricter, trading requirements are stricter. So we're putting all these in place so that we can meet the expectations of clients dealing in these products." Even as he adjusts to life in a new job, Mr Lee has managed to fit in a new pastime - pilates, which he picked up on the advice of a doctor after injuring his back. "It's something that my male friends laugh at me about. I used to laugh at my wife too, 'why are you doing this silly thing?' But then I started doing it too and realised it's actually quite strenuous!" On weekends, the father of three cycles 30km to 50km along Singapore's park connectors, a distance he says is "not a huge amount". He displays this equanimity too when the interview turns to a topic that is usually framed as a Singaporean parent's worst nightmare. His two daughters, 16 and 18, are sitting for their O-level and A-level exams this year. He also has a son, 11. "These are wonderful, good times," he says in all seriousness. "They're good students. Like every concerned parent, we want them to do well but I have faith in them." I think what I bring to the table is a lot of relationships with companies that are growing, the companies that are getting from $1 billion to $5 billion.